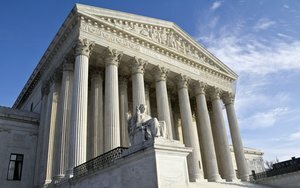 On September 28, 2017, the United States Supreme Court granted certiorari in McCoy v. Louisiana, No. 16-8255 to decide whether it is ineffective assistance of counsel under the Sixth Amendment for defense counsel in a capital case to concede guilt over the defendant’s objections and protestations of innocence. McCoy was convicted of first-degree murder in Bossier Parish for killing his estranged wife’s son, mother, and step-father. During opening statements in the guilt phase of McCoy’s trial in 2011, McCoy’s lawyer explicitly and repeatedly conceded that McCoy had murdered the three deceased: “I’m telling you, Mr. McCoy committed these crimes.” McCoy was convicted and sentenced to death. The Supreme Court has ordered briefing and will consider the matter this term.